Amber-Rose May is a performer and theatre maker who specialises in creating thought provoking and magical theatre for young people, allowing them to explore and understand important topics. 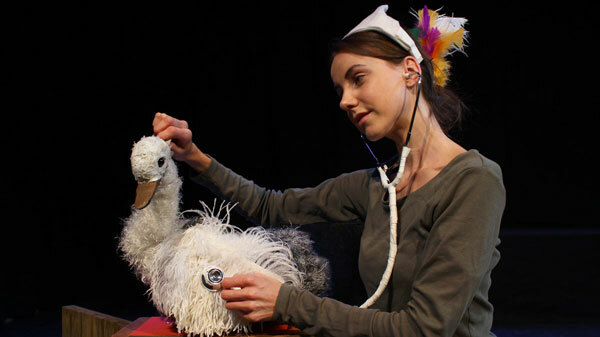 In her new one-woman show The Goose Who Flew, for ages 3-7, she plays a range of quirky characters, using simple puppetry to explore issues facing refugees. In the interview below, Amber-Rose reveals more about the show, the inspiration for the story, and the importance of giving young people a voice to challenge opinions about what they might be going through. Tell us a little about The Goose Who Flew. What is the show about? It is the story of a Goose who loves the summer, flying above the treetops and playing with his family and friends. When the days start to become colder, Goose knows it will soon be time to fly south for the winter. But, as his journey begins, things are not as they should be. Down below, a border has appeared and there are barbed wire fences and flashing lights. As Goose seeks safety, he loses his family and is injured. Unable to fly, he has to walk to a city where everything looks unfamiliar and a little scary. Along the way he meets an assortment of quirky characters, including a metal spider, a paper-loving official, and a feathery jazz singer called Flossy. 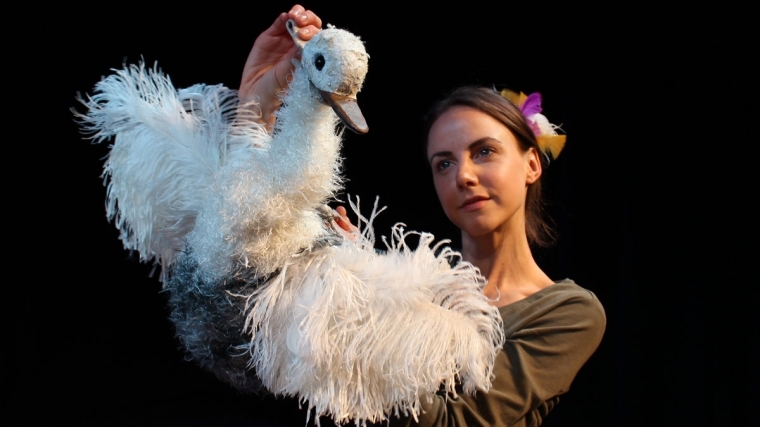 As the story unravels, The Goose Who Flew conveys the importance of understanding, compassion, empathy, acceptance and togetherness. I run storytelling workshops with children aged 4-7 and, more often than not, half of them will have English as a second language. I am always in awe of children's resilience, confidence and determination. The more I worked with the young people the more I began to understand some of the difficulties many of them had faced. This sparked the beginning of the idea for The Goose Who Flew. I began to research why, how and where children were leaving their home country - where they were heading (if they knew), and what happened when they arrived in a new place. I had several meetings with charities in the UK who support minors who arrive here, including Kent Refugee Action Network and Lewisham Refugee and Migrant Network, and it really honed the story. What was particularly highlighted was the importance of understanding, integration and inclusivity once they had arrived in the new place. Why do the issues covered in The Goose Who Flew particularly resonate with you? I realised I was learning a lot from the children I worked with about the importance of integration, community and humanity, which became part of my practice as a theatre facilitator; focusing on ensemble work and building a team together. I wanted to give these children a voice to challenge opinions about what they might be going through. What would you say are the challenges of The Goose Who Flew? 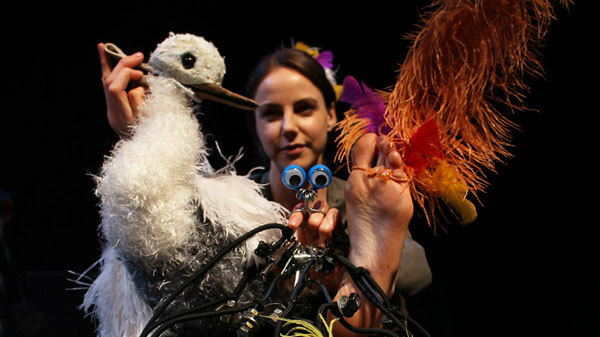 As a solo performer, the main challenge is that I never seem to have enough hands or feet for all the puppets! What can audiences look forward to? A heartfelt story about the importance of compassion, community and understanding. With a variety of eccentric characters to meet along the way, you are sure to be entertained! There is a line in the show that says: 'If I was a goose, who flew, what would I do? Where would I go?' How would you answer those questions? I would fly to a place full of happiness and joy, surrounding myself with those who mean a lot to me.